The 2017 Kentucky Health Issues Poll (KHIP) asked Kentucky adults whether they knew someone who had experienced problems due to use of heroin or methamphetamine. KHIP is sponsored by Interact for Health and the Foundation for a Healthy Kentucky. KHIP asked, “Have any of your family members or friends experienced problems as a result of using heroin?” Fewer than 2 in 10 Kentucky adults (16%) reported knowing someone who has exper-ienced problems as a result of using heroin. This is the same as in 2016. KHIP also asked, “Have any of your family members or friends experienced problems as a result of using methamphetamine?” Fewer than 2 in 10 Kentucky adults (16%) reported knowing someone who has experienced problems as a result of using methamphetamine. This is unchanged from prior KHIP reports. Responses to these questions varied by region. The percentage of adults who know someone with problems due to heroin was highest in Northern Kentucky (29%) and lowest in Western Kentucky (11%). The percentage of adults who know someone with problems due to methamphetamine was highest in Eastern Kentucky (22%) and lowest in the Lexington area (13%). 1 National Institute on Drug Abuse. (2017, Sept. 15). 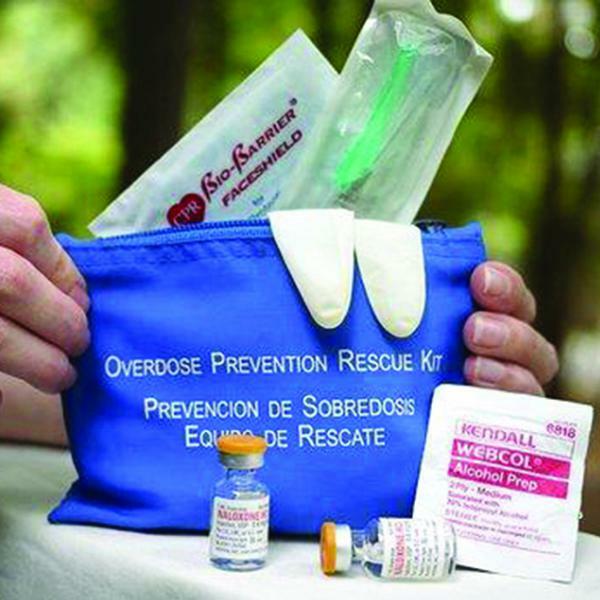 Overdose Death Rates. https://bit.ly/1RxOFVr. 2 Centers for Disease Control and Prevention. Drug Overdose Death Data. (2017). https://bit.ly/1QRlAl5. 3 Warner, M., Trinidad, J.P., Bastian, B.A., Minino, A.M., & Hedagaard, H. (2016). Drug Most Frequently Involved in Drug Overdose Deaths: United States, 2010-2014. National Vital Statistics Reports. 65(10). https://bit.ly/2hUQGPP.